Decision makers say we must link housing, transportation to better accommodate growing population, reduce costs. More than half a million new residents are expected to move into the Portland area by the year 2040. This growth has already sent shockwaves through the region with rising housing prices and increasing traffic. How should the region's transportation system adapt to this growing population? How can planning make room for new residents while ensuring a high quality of life for all communities? These were the types of questions debated at the Regional Leadership Forum, last Friday at the Oregon Convention Center. The meeting was the final regional transportation forum – a last chance to talk about which outcomes should be prioritized in the next 10 years of the 2018 Regional Transportation Plan. Elissa Gertler, Metro's planning and development director, facilitated the discussion, asking decision makers to discuss their local and regional priorities. "Today our goal is really to try to figure out where we have common ground and what we want our future to look like and how we are going to accomplish that together," Gertler said. Local cities and counties have already submitted transportation projects to the draft regional transportation plan, which has been in development for three years. Proposed projects include improvements to roads, bridges and throughways, investment in more mass transit and building more bike lanes and sidewalks. The cost of all of the proposed projects is $14.8 billion. But, there is not enough funding to fully implement all the projects. Federal funding for transportation has declined and gas taxes can't fill the gap as people drive less and fuel efficiency increases. Decision-makers have to make tough choices about their priorities. Many of the RTP projects aspire to improve safety. Communities of color, lower-income communities and English language learners have moved farther from city centers due to rising rents, and into high-crash corridors. These community members are injured and killed in pedestrian crashes at a higher rate than white, higher-income urbanites. Leaders and advocates argue that having accessible and affordable transportation are additional barriers for these communities and others, such as young people, the elderly and people with disabilities. María Hernández, the advocacy coordinator with OPAL Environmental Justice Oregon, asked regional leaders to think about the people who are the most affected by policy decisions. "At the end of the day, communities are on the ground and those same communities are the ones experiencing decisions being made," Hernández said. Others spoke about the relationship between equity in transportation and affordable housing. Forest Grove Mayor Peter Truax described equity work as a kind of "cosmic whack-a-mole," where solving one problem ultimately reveals another. Truax urged regional leaders to deal with multiple interconnected issues. "If we address transportation without dealing significantly with affordable housing, we're engaged in a fool's errand," Truax said. Luis Nava, the Washington County citizen representative on the Metro Policy Advisory Committee, shared his experience using public transit. "I live in Aloha and today it took me almost an hour and 45 minutes to get here through public transportation," Nava said. Nava said problems with public transit affect many communities in the region. He said it is a working-class issue to have access to public transit. Traffic was also a focus of discussion. The draft regional transportation plan as it stands will not ease traffic. Even with more biking and walking in the future, "rush hour" traffic is expected to slightly increase. Some of the comments at the forum suggested changing the transportation map to focus more on outlying regions and less on the Portland city center. Some groups advocated a suburb-to-suburb transit system that would avoid travelling through downtown Portland. Other groups advocated workforce development in their local communities so residents could live and work near their homes. 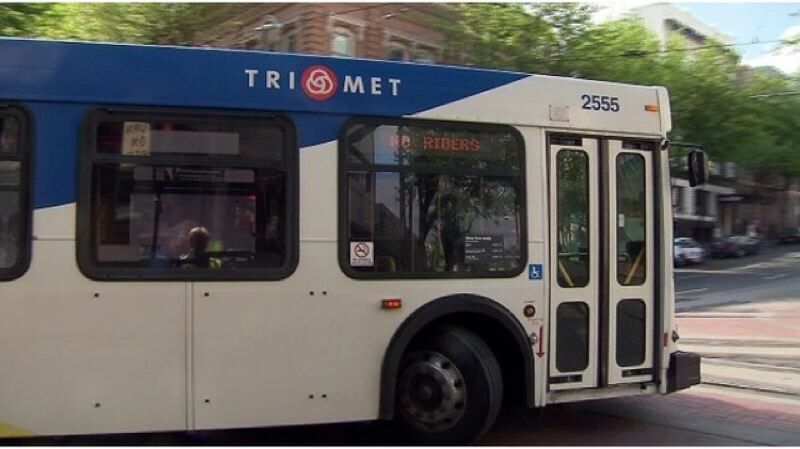 Another prominent theme was public transportation enhancements that include a developing new low income fare program, more buses on overcrowded routes, and proposals to bring back express bus service from cities such as Aloha, from where it takes nearly two hours to get to Portland. Jessica Vega Pederson, the Multnomah County Commissioner representing southeast Portland, delivered the closing remarks. She spoke of a dynamic tension between preparing for growth while maintaining the livability of the region. She pointed to cities in the nation experiencing more rapid growth than Portland: Seattle, Chicago, and Los Angeles -- all three have all passed major transportation funding bills focused on mass transit. Pederson urged her colleagues to be bold in the face of regional growing pains. "We need leadership, and we need it from the people in this room. We need it from the elected officials, we need it from the business community, we need it from community leaders, and we need it from staff, because the stakes are so high." Pederson said. Bylined articles by Metro writers do not necessarily represent the opinions of Metro or the Metro Council. The original version of this story was published at oregonmetro.gov/news.